#10. There is a limit to what you can take home. By law, each boat is limited to a 5-gallon catch per day, regardless of how many persons are on the boat. Thus, the reason for the 5-gallon bucket as an important piece of equipment. Every adult must have a valid salt water fishing license. We learned that you can buy fishing licenses at any time of day or night (we got ours in the Wal-Mart sports department at 1AM). Note that charters and professional fishermen have different limits. Know your limits and stop when you reach them. The similarity to Federal contracting should be obvious. Know what you can do well. Do not overstretch – you will find large runs of solicitations that appear to be “right in your sweet spot “. You cannot bid everything that comes out. When you reach your limit, stop and enjoy. Do not burn out your staff and partners in an effort to win everything. You will not succeed and you will have a miserable time not succeeding. Pick your battles and improve with each bid. #11. No matter how much you plan and prepare, sometimes the catch is small. As Captain Lee pointed out, sometimes things do not work out and the best you can do is take a nap, read a book, or work on your web site. Her attitude on life is healthy… she is doing what she loves, she is helping others, her expectations are reasonable, and she does not try to win on every outing. Your should have the same mindset when going after Government contracts. Sometimes, no matter how well you prepare, the catch will elude you. Learn from it and take the time to relax and recharge. It is not the end of the world. You must learn from your failures. Did you set up in the wrong place? … at the wrong time? … use the wrong equipment? … set up the equipment inappropriately? … or just have a bad day? Make sure you analyze every bid, regardless of whether you win or lose. You would be surprised how much you can learn from an objective self-analysis. #12. There are many ways to enjoy your catch. 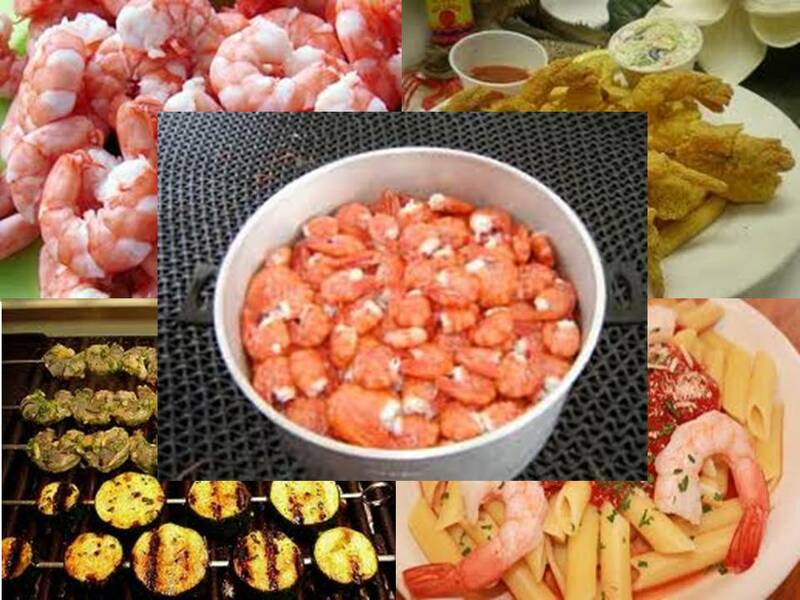 You can fry shrimp, boil them, steam them, grill them, or use them as bait to catch big fish. Just like the contracts you win. What you do with them is up to you. But, it is not enough just to execute. Every contract is another rung on your ladder to growing and accomplishing your goals. Give careful consideration as to how you will enjoy the “catch”. Are you going to only focus on the income or do you plan to use the contract to attract larger, more lucrative opportunities? Is your contract a “throw away” (small contract with little chance of any follow-on) or a “keeper” (large and meaty, meriting additional culinary skills)? Keep in mind that every contract will be recompeted and the incumbent contractor has the hardest battle. Build your relationships early and nurture them continuously. Well, there you have it. My Forrest Gump Epiphany. Like Forrest Gump said… “Life is like a box of chocolates”… and you never say that to a diabetic chocoholic, of which I am one. Hope you enjoyed this one and please let me know what you think. Posted on January 5, 2012, in Debunked Myth, Lessons Learned, Strategic Planning, Win Management. Bookmark the permalink. Leave a comment.